One of the most difficult parts of a scene is connecting with your scene partner in a way that allows viewers to truly believe your on-screen or stage relationship. An important part is not crossing boundaries, and developing a solid trust with your partner. In a world where long stares, direct eye contact, and human touch can seem a bit overwhelming, it is imperative in acting. In this 4-week series, you will have one partner the first 2 weeks and be given a scene from a play. The following 2 weeks, you will have a new partner and be given a scene from a film. Prior to the class, we will gather information from you if you have limitations to what you feel comfortable doing and what type of characters you feel comfortable portraying. We know sometimes roles push us out of our comfort zone, but we also realize actors will deny roles they will never portray and we respect that! Self-Care cue – agree on an word that will be used by anyone to stop the action when the actors feel there may be something amiss in the choreography or the if the actor needs a moment for mental self-care. When the cue is used by anyone, all action should stop and physical concerns and issues should be addressed. If this is for a moment of mental self-care, allow the actor to have a moment alone and move on when ready. Full permission from each partner should be given before rehearsal can start again. I suggest picking a cue line that is not related to the scene. Always work towards telling the story. Clarify the objectives for any physical action. Work at a slow pace until it is completely safe to move to performance pace. Never leave class without discussing what you achieved. Be honest with your partner about you how you feel about the outcome. Be honest about how you feel about the way you and your scene partner worked together. Never leave the rehearsal with unanswered questions. TS McCormick is a professional actor, musician and educator from upstate New York. A recent transplant to Portland, he has appeared on stage and screen throughout the continental United States for over 20 years. TS has been a teaching artist for numerous professional theatre companies along with his work as a collegiate lecturer. He holds a BFA in Acting from The University of Rhode Island, where he received the Academic Excellence Award in Arts and Sciences for his work both on stage and in the classroom. 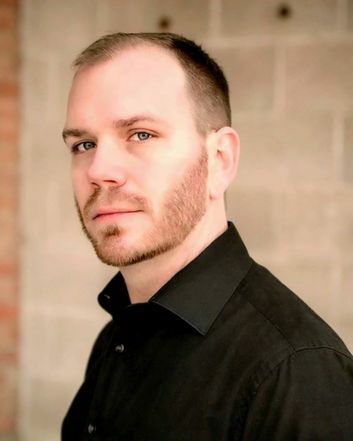 He completed his MFA in Acting at Minnesota State University, Mankato in 2016. During that time TS won three Outstanding Achievement in Performance awards; in addition, he was recognized nationally (along with his fellow cast) by the Kennedy Center, for Outstanding Ensemble Performance in Titanic: The Musical. He has written papers on acting theory and pop-culture. This includes a paper that was accepted to the Southwest Popular/American Culture Association conference in 2014. Having advanced training in these areas, TS specializes in teaching Scene Study, Uta Hagen, Meisner Technique, and Shakespeare.